Golden Monkey is the highest quality black tea and brews to a light flavor with no bitterness and honeyed peach tones. 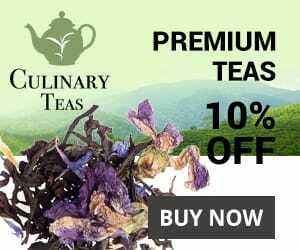 Golden Monkey Tea is a Chinese black tea that gets its name from the hairy golden tips and the shape of the dry leaves, which resemble a monkey claw. It took second place in the ‘Signature Famous Tea: Hot Tea Class’ of the 2009 World Tea Championship. Golden Monkey tea is made from the buds and the first leaves of the tea plant. These are withered lightly in the sun, then fermented and dried. This process results in a distinctive, light flavor with honeyed peach tones and no bitterness. 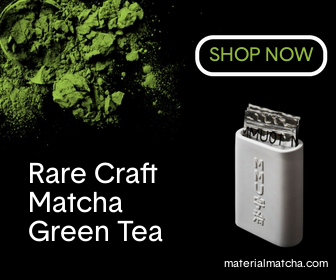 This tea can be found in many specialty tea shops or through a number of online vendors. If you are unsure where to begin, you can check out some of my recommendations below. The best brewing temperature is 90-95ºC (194-205ºF), which is just below the boiling point. You can simply boil the water using a stove-top kettle and then let it cool for 20 seconds. This tea can be brewed in a variety of vessels. For these instructions, I will use a traditional Chinese clay teapot known as an yixing. Put 1-2 teaspoons of Golden Monkey leaves into the teapot. If using a different vessel, use 1-2 teaspoons for every 8 oz. (236 ml) of water. Here is a video showing how to brew Golden Monkey tea. For those asking about the glass teapot with infuser in the video, that link takes you to a post reviewing the 10 best. Many people already have an account with Amazon.com so it is probably the easiest place to buy tea online. The best Golden Monkey tea I’ve found on Amazon is this one from Golden Moon. Art of Tea has the highest quality Organic Golden Monkey I’ve found online. At the time of writing, it was actually a bit cheaper than the one from Golden Moon above, but I like it a lot better. If you are looking for something cheaper still, you might want to check out Teavivre’s Golden Monkey. The quality is pretty good, considering the price, but it doesn’t come close to the one from Art of Tea. For more on Golden Monkey tea check out the Wikipedia page.